Camera and photography doesn’t require something like an occasion. It’s a kind of art which shows its humor as soon as it gets on the roll. Non occasional photography is a fun to-do thing which occurs during the get together with friends and colleagues and we do not require any drastic apparatus to get a fine shot on every click at that time. Rather, we enjoy having multiple snaps in the same posture and mildly fluctuated expressions. The reason being so casual is that, if we fail to grab a perfect picture then we can have such snaps later also, but it’s a must to snap down the taintless pictures when we visit a seldom visiting place. During the vacations, plans usually contain a saunter to nearby places or locations which can be afforded for 4 to 5 days of holiday trips. Photography always finds its place in such plans and if you are a geek photographer than you would definitely want to click every shot in a perfect manner. A camera; DSLR, Mirrorless or Point and Shoot, is a power hub in itself and has a great lot of features embedded on chip. Sometimes it happens that our pictures doesn’t get as fine as we ought it to be. This happens due to lack of some essential accessories, which helps in maintaining stability and adding confidence to the whole procedure. The camera series has a wide range of splendid accessories, which have been sorted down for most essential 10 things. Tripod is a great thing to click the stationary images with ease. It provides a great view for the snapping needs and imaging. The camera makers offer tripod as a bundled accessory with them, but it can also be purchased aftermarket. The compatibility issue may arise then, but modern tripods come with the feature of adjustable mounts and holders to fix any camera. 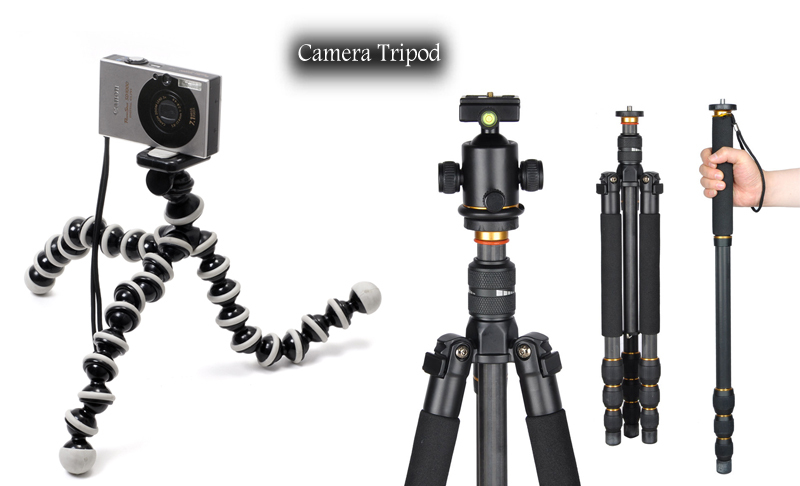 Variety in tripods is also great and choosing one out of retractable and joined bendable legs would be preferable. The retracting tripod would occupy a huge space and offer fixed interval of expansion, while bendable one can be adjusted as per the user’s demand. 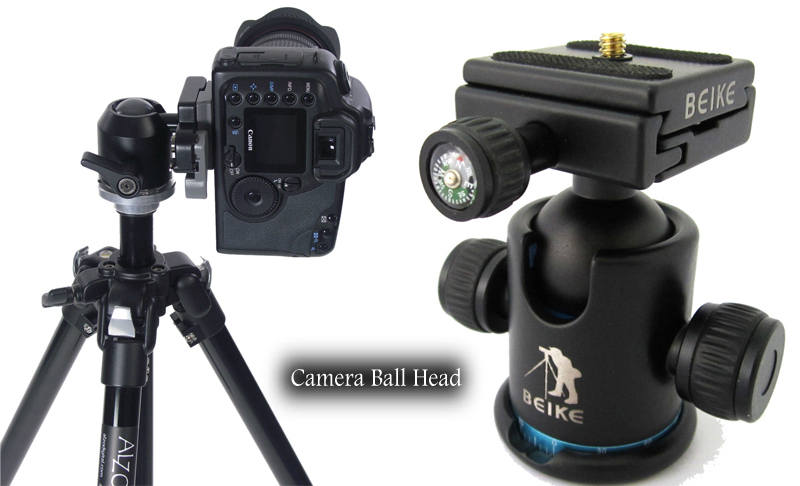 A ball head is a tripod mount that functions to rotate and move the camera in multiple directions for familiar spot of snapping. It has a ball fixed inside a hollow sphere and moved freely with some sort of friction to make it stable at a place. The ball has amount over the camera gets attached and from that mount, a lever is attached to control the whole process. It can be mounted over most of the tripods and cameras of a huge variety can also be superimposed. 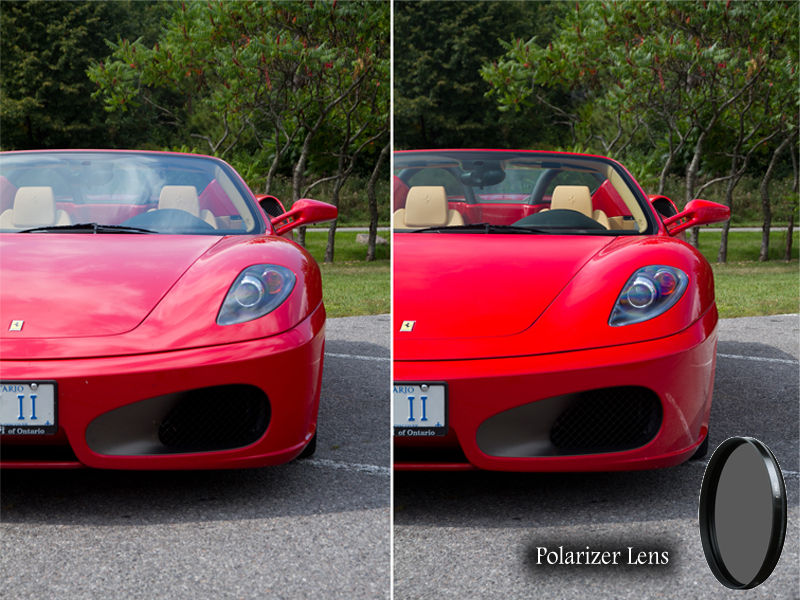 Polarizer is used to avoid the excess lights and flash from the object. It sometimes happens that the pictures don’t get clearer pixels because of excessive lights and reflections. A polarizer is made up of dark transparent material, which absorbs that brightness absurd and allow the lens to record perfect images. It’s a valuable thing to use with cameras during a sunny day. One can also use this while clicking pictures with a bright background as if an object placed on window slab. So that you won’t forget your camera at home, a neck strap is a must. Kidding. A neck strap can be purchased to keep your hands free and protecting the camera from sweat and falls as well. The strap can be adjusted to suit the user’s handling and comfort. The polarizer is a great thing to vanish the excessive lights, however, if the polarizer doesn’t obeys the job to diminish extra flash; a flash diffuser will do the job then. 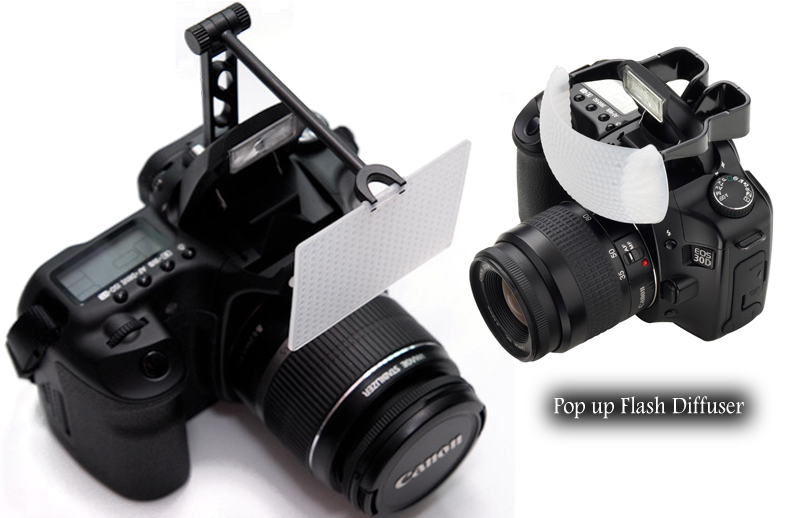 Pop up Flash diffuser can be mounted on a camera to cover the flash. It is made up of translucent white material and has various designs to suit the camera’s geometry and shape. This component is usually not found with most of the photographers as they rely over the more practical and bigger flash units with speedlights, but travelling with a pop up flash diffuser would be favourable. 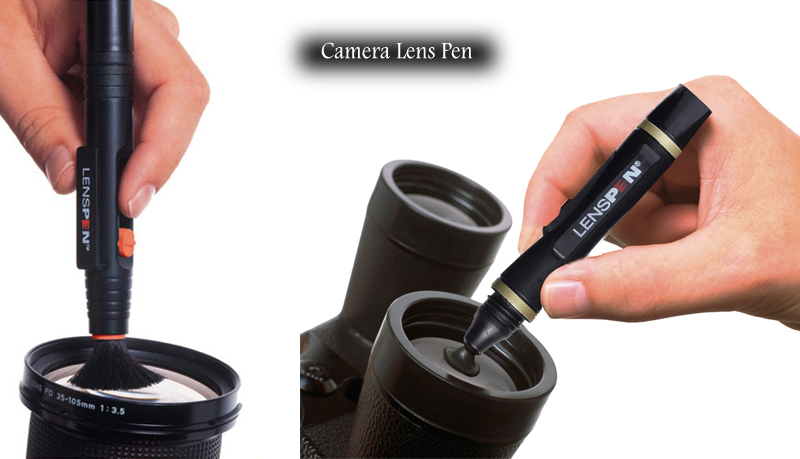 Lens Pen brush equipment to clean coagulated dust from the upper surface of the lens. It is made up of soft material so as to keep the lens scratch free. It has either side crafted with cleaning material. A brush is placed on one side to remove the visible dust while a cleaning tip on another side for fine sweep. Lens blower is dust blowing equipment and it helps in blowing off the dust coagulated in tough corners and non-approachable locations. These dust particles create bubbles and unusual spots on photographs. 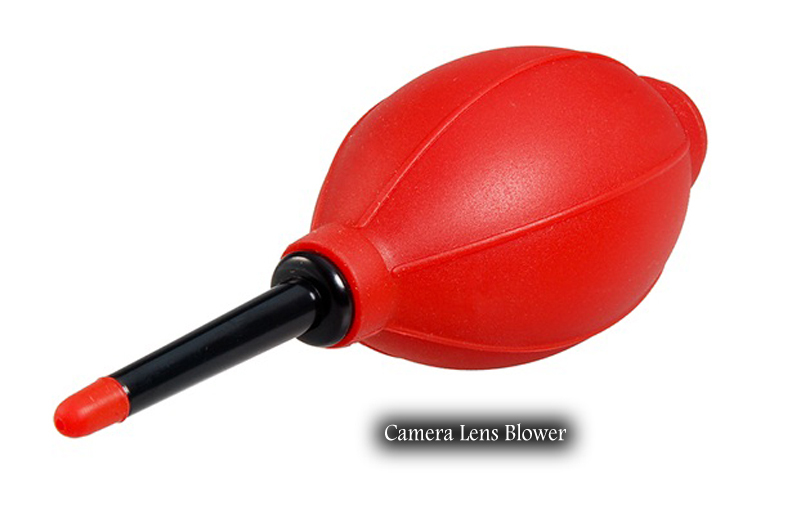 The lens blower is composed of a rubber material with an elongated nozzle to slap off the dirt. Cameras run on battery power and it could be either lithium ion battery or simple durable cells and batteries. It is human nature that we keep ourselves on the back foot as the battery may drain before the leisure time and this annoys the zeal of having snaps. Also, people start reserving it by avoiding unnecessary snaps to reserve the power. Keeping extra batteries would be good to snap pictures effortlessly as you won’t be worried about the dying battery. Cameras store the pictures and videos in either memory cards or hard disks. Though, the memory cards are also available with high storage capacity and hard disks are also high on caliber, but if the trip is going to be longer, than snapping for the complete duration with less storage would be little frustrating. Roaming around with all the above stuff in hands won’t be practical and will look dizzy as well. 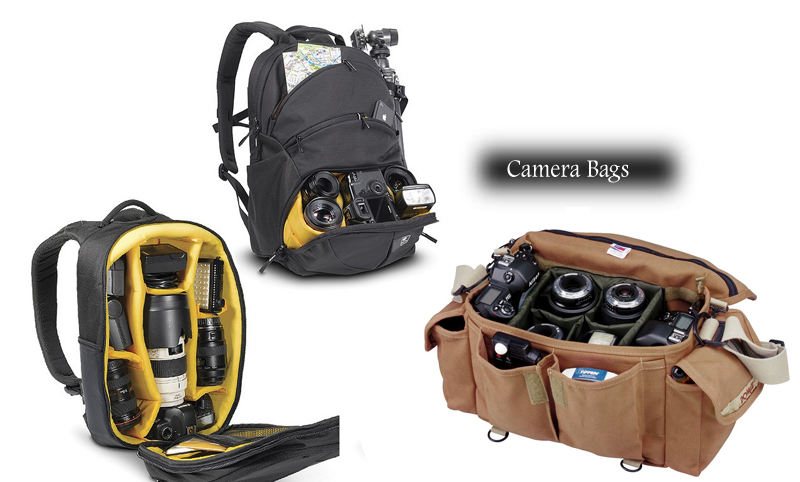 It’s good to have a suitable bag to store all the accessories and some bag manufacturers offer dedicated bags for few camera models. They have perfect partitions and spacing to store all the equipments correctly in order to avoid breakage.